You didn't think I forgot, did you? No faith...none at all! Haha. It's fall once more, and this week's big and small is all about the Pumpkin Spice Latte! I rediscovered Starbucks (dangerous, I know!) When I ventured in for one. 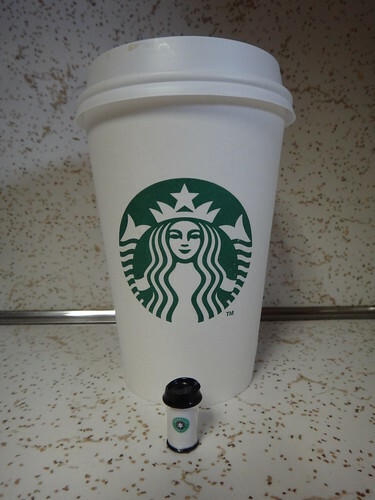 With a tiny to-go cup like this, the girls can enjoy a 'Starrocks Coffee' right along with me! Starrocks Coffee, hee hee! It's so cute!